The irony of the digital world is that people are more connected than ever, yet social isolation is a growing concern. But an innovative storytelling platform is using technology to solve this problem, writes Ellie Cooper in this week’s Spotlight on Social Enterprise. StoryPod is a social enterprise that encourages people to record their experiences and opinions, in video booths at public events or through an app on their smart phones, that can then be uploaded and shared in an online community. “The art of storytelling has been around since the fire,” creator Sophie Weldon said. “We are really disconnected from each other, so actually using platforms that are in public spaces and arenas hopefully will enable people to drop into what’s real with other people, and using that as a platform to not only touch the people you’re with in your local community but that story might inspire somebody on the other side of the earth,” she said. Weldon first became interested capturing stories years before the idea for StoryPod was conceived. “I was first inspired by the power of stories after listening to a refugee story when I was 14,” she said. Weldon attended the Australian Film, Television and Radio School in Sydney where she researched and trialled different recording methods, including documentary, before deciding to let people take control. “It was there that I developed a prototype for a video booth and received so many different interests from people who also felt compelled by the idea of capturing personal stories,” she said. “We’re also in the development of creating an app people can use on their phones as well. Weldon is working with Deakin University to build an algorithm that will synthesise the story themes and ideas once they are uploaded into a library to connect people with similar interests. “In a world of information overload, what if we could go to one platform to find something meaningful? However, Weldon said there’s also the option for people to keep their recording private, and use it for for family or personal history. The business-side of the social enterprise generates income through hiring out the StoryPod video booths. “We’re a hybrid social business so a lot of our business activities, the hire and sale of the story pods, will ensure we have enough revenue to keep developing our community activities,” she said. 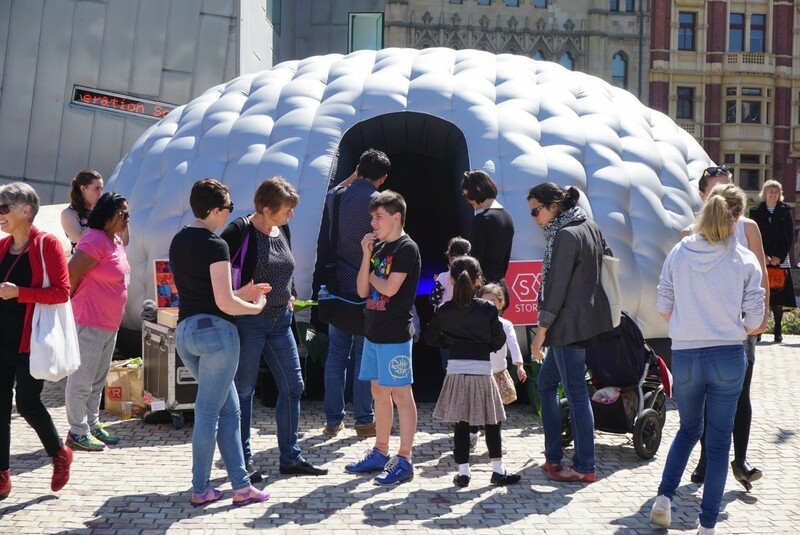 “It’s definitely an evolution and I’m still learning about the business model as we continue to pilot, but the for-profit arm is set up as a proprietary limited company so we can continue trading as an enterprise and hire out the pods to councils, NGOs, festivals and businesses. “It’s amazing the organic marketing that’s happened, I haven’t done any marketing to date but festivals, councils and museums, even big multinationals have contacted me interested. Coming from the social sector, Weldon said the greatest challenge in developing a social enterprise was the business operation. find a home for that. 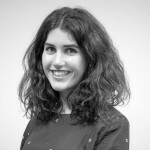 I’ve worked for Oxfam Australia, I’ve worked for Foundation of Young Australians, and the Global Peace Index, and I was trying to learn and absorb the skills needed to start something from scratch and make it operational,” she said. Weldon also had to change the way she thought about business when she moved out of the Not for Profit sector. “We’re also at the cutting edge of re-visualising capitalism… business can be a force for good. I don’t have to feel guilty for making money,” she said. Weldon said the social arm of the enterprise will primarily use the app, expected to be released next year, that gives users “story-starter” prompts and is set to a timer. “The app will be more of our social strategy. So rather than that happening in the private booth, that will happen with a face-to-face connection where someone has it on their phone and it prompts the key story-starter questions and enables people to customise their own,” she said. Weldon trialled the story-starter questions “what is your idea for a better Australia?" 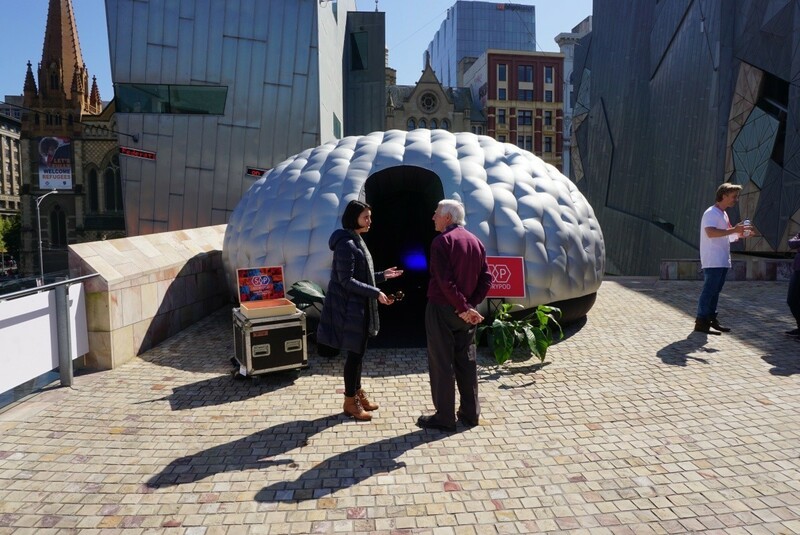 and “what is a story of a time you stood up for something you believed in?” when StoryPod launched at the Unleashed Festival at Federation Square. “This one woman, in front of the camera, got out this necklace which was made from soy sauce fish and she said she’s so passionate about sustainability and she stood up for environment and she’s now creating these necklaces made out of soy sauce fish,” she said. “It was just amazing creativity and individuality, and you wouldn’t know someone stood up for that… but once you’ve asked the right question it’s amazing what the community responds with.